American bluegrass music stars Dailey & Vincent have just premiered the brand new video for their song “That Feel Good Music.” The fun, upbeat video features the award-winning pair teaming up with Country Music Hall of Fame singer-songwriter Whisperin’ Bill Anderson, who also co-wrote the track alongside Jamie Dailey and Jeffrey East. “That Feel Good Music” is featured on the Grammy-nominated duo’s latest critically acclaimed album Patriots & Poets, which was released last month via Dreamlined Entertainment Group and BFD (distributed via Red). Filmed on-location in Jamie Dailey’s hometown – the scenic Gainesboro, Tennessee, the video features Dailey & Vincent and Bill Anderson taking a drive, while cranking up “That Feel Good Music.” Throughout the fun video there are several twists and turns, including singing, square dancing, and a brief run-in with the law. The visual was directed by Jennifer Bonior. At the conclusion of the video, Dailey & Vincent and Anderson walk back to the tour bus to return “home” to the Grand Ole Opry. With 2017 being a career defining year, Dailey & Vincent have continued to reach new heights. As the newest members of the legendary Grand Ole Opry, the IBMA winners became part of an elite group of musicians and artists who helped define country, bluegrass, American music and beyond. With the release of their new project Patriots & Poets, Dailey & Vincent have brought their sound to fans on a national level with recent features in The Huffington Post, Parade.com, SiriusXM and more. The lively pair are hitting the road in celebration of the new project, with stops at venues and festivals nationwide. Dailey & Vincent LandFest In The Mountains, the duo’s annual festival, will take place September 14-16 in Hiawassee, Georgia, where fans will be treated to a full weekend of music and fun. If you’re in the area in mid September then tickets are available from this link. Five-time Grammy award winners individually, three-time Grammy award nominees collectively, four-time Dove Award winners, and winners of 35 IBMA Awards altogether (including 3-time IBMA Entertainer of the Year Award winners and 3-Time Vocal Group of the Year Award winners), Jamie Dailey and Darrin Vincent, backed by one of the best bands on tour today, are some of the most reputable and elite entertainers in American music; bluegrass, traditional country and gospel music. The concoction of the fantastically instinctive vocal blends of Dailey’s tenor and Vincent’s reedy harmonies has gained them well-deserved praise for their own distinctive style and worldwide recognition as American Music gold. Dailey & Vincent has garnered world-wide attention with their first national, top-rated television series, “The Dailey & Vincent Show,” on RFD TV and over 500 airings of their PBS special “Dailey & Vincent Alive – In Concert.” Their most recent CD, Dailey & Vincent Alive, debuted at #1 on the Billboard Bluegrass charts and remained at the top position for over 15 weeks. For more information, visit www.DaileyandVincent.com. One of todays most celebrated bluegrass duos is without doubt Dailey and Vincent. They have been nominated for several Grammy Awards and are multiple IBMA award recipients; a duo of modern-day Bluegrass pioneers with their own brand of hard-driving bluegrass, soulful ballads and compelling Gospel duets. Both Jamie Dailey and Darrin Vincent started out playing and singing at a very young age with their families who were always playing and singing in their houses as they were growing up; indeed, both Jamie and Daren tell us that each of their fathers were the primary influence in their early musical development. Our goal for the past few years was to write an album. God, family and country are three of the most important and treasures in our life. We hope these songs will encourage, and bring comfort – Darrin Vincent. In addition to celebrating 10 years together as a duo, they’re exploring new boundaries while also going back to their bluegrass roots on Patriots & Poets, which features collaborations with Steve Martin, Doyle Lawson, TaRanda Greene, David Rawlings, and Bela Fleck. Dailey and Vincent continue to set the standard for which all modern-day Bluegrass artists are measured by – Billboard. Patriots & Poets is being released through Dreamlined Entertainment Group and BFD (distributed via RED), and fans can pick up a copy on iTunes, Amazon and wherever music is sold. Dailey & Vincent are celebrating the release of the new album by appearing this weekend on SiriusXM’s Bluegrass Junction. They will join IBMA award-winning host Kyle Cantrell for the full morning show, spotlighting tracks from the new album, along with telling stories about what inspired each song from Patriots & Poets, which marks the first project from the dynamic pair with all-new, all-original material. Fans can catch the very special interview airing on SiriusXM’s Bluegrass Junction (channel 62) Saturday, April 1 beginning at 7:00am ET. To give fans an insight into the making of Patriots & Poets Dailey & Vincent will appear at the Bluebird Cafe in Nashville on March 31 as part of the 25th Annual Tin Pan South Songwriters Festival Presented by Regions Bank. In celebration of their 10-year anniversary, 50 years of NSAI, 35 years of the Bluebird Cafe, and on the street date of their brand new album,Patriots & Poets, fans and music industry elite can catch the dynamic pair performing brand new songs. The must-see round will also include Brad Crisler, Kevin MaC and Leslie Satcher. 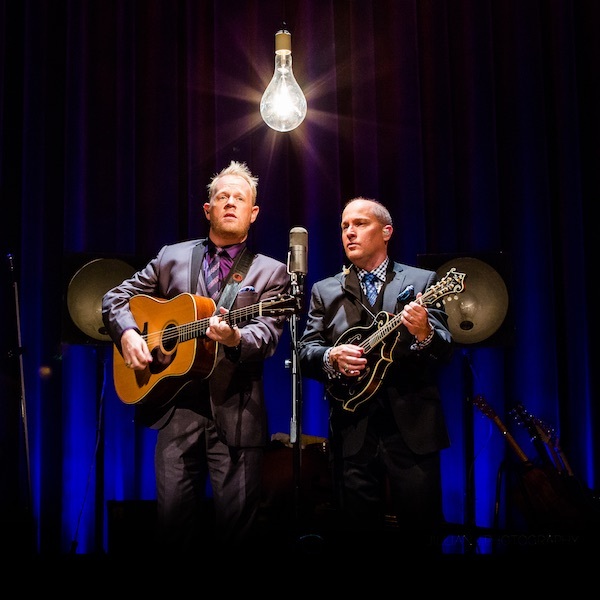 The rest of the year includes a jam-packed tour schedule including Dailey & Vincent’s third performance at the historic Carnegie Hall, along with a performance at the iconic Ryman Auditorium. So far this new album has been met with high critical praise, with the duo recently being spotlighted by outlets like The Boot, Roughstock, Sounds Like Nashville, Audio Driver Magazine, and more, while also creating buzz within bluegrass circles on Bluegrass Today, Cybergrass, Prescription Bluegrass, WAMU’s Bluegrass Country, Australian Bluegrass and more. The award winners will also appear on the nationally syndicated online video series The Pickup beginning April 1. Other upcoming features include The Huffington Post, Billboard, Parade.com, BackHome Magazine, WSM/Heartland TV’s Coffee, Country & Cody, Nashville Country Club and more. Five-time Grammy award winners individually, three-time Grammy award nominees collectively, four-time Dove Award winners, and winners of 35 IBMA Awards altogether (including 3-time IBMA Entertainer of the Year Award winners and 3-Time Vocal Group of the Year Award winners), Jamie Dailey and Darrin Vincent, backed by one of the best bands on tour today, are some of the most reputable and elite entertainers in American music; bluegrass, traditional country and gospel music. The concoction of the fantastically instinctive vocal blends of Dailey’s tenor and Vincent’s reedy harmonies has gained them well-deserved praise for their own distinctive style and worldwide recognition as American Music gold. Dailey & Vincent has garnered world-wide attention with their first national, top-rated television series, “The Dailey & Vincent Show,” on RFD TV and over 500 airings of their PBS special “Dailey & Vincent ALIVE – In Concert.” Their most recent CD, Dailey & Vincent ALIVE, debuted at #1 on the Billboard Bluegrass charts and remained at the top position for over 15 weeks. For more information, visit DaileyandVincent.com. Multi-Grammy nominees and three-time International Bluegrass Music Association Entertainers of the Year Dailey and Vincent were formally inducted into the Grand Ole Opry last night by Opry members Old Crow Medicine Show and Jeannie Seely. The duo had been invited to join the Opry by Marty Stuart during their 100th Opry appearance in December. I had the honour of introducing Dailey & Vincent for their first Opry appearance. I thought to myself that night [that] I hope one day I get to see them become members of the Opry one day because they epitomise everything the Opry is on stage and off – Jeannie Seely. They honour the traditions and respect their elders, but most of all they entertain. Tonight they join the ranks of country music’s greatest entertainers. Welcome Dailey & Vincent to the first family of country music – Ketch Secor. We love the Grand Ole Opry. It’s in our DNA – Jamie Dailey. Dailey and Vincent gave recognition to family, friends, their band, and members of their organisation who’d helped make the night possible. The duo closed their Opry segment with “I’ll Go To My Grave Loving You,” a hit by one of their musical heroes, The Statler Brothers. 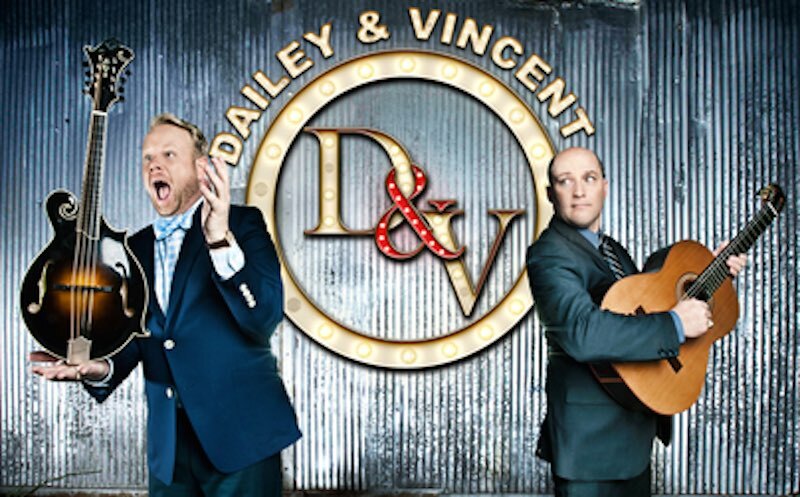 We are very excited to welcome Dailey & Vincent into the fold. Jamie Dailey and Darrin Vincent have been proclaimed the best in their field across the board, winning awards and media acclaim for their songs, their musicianship, and their one-of-a-kind live performances. Over the past 10 years and more than 100 Opry visits, they’ve brought crowds to their feet both with country, bluegrass, and gospel standards as well as their brand new material. We look forward to Dailey & Vincent being active, beloved Opry members as the Opry looks toward the century mark and beyond – Sally Williams, Opry general manager. 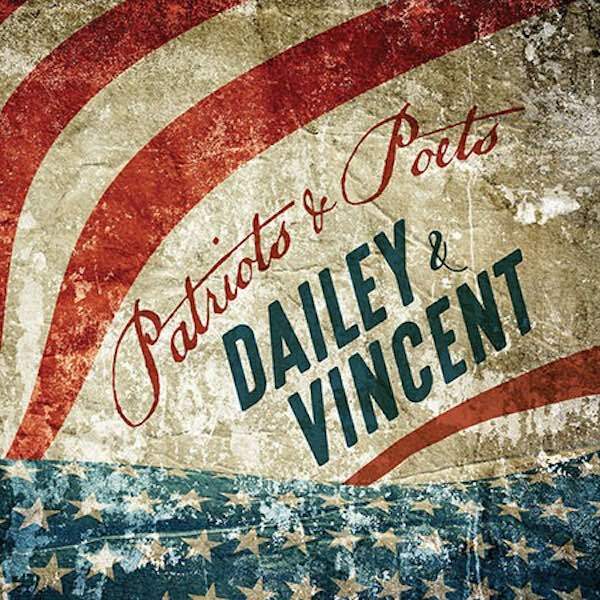 Dailey & Vincent have announced the release of their upcoming eighth album, Patriots & Poets on March 31. Dailey and Vincent’s new star-studded project features collaborations with bluegrass music’s top musicians including Steve Martin, Doyle Lawson, Bela Fleck, and David Rawlings. The soon-to-be inducted Grand Ole Opry members will release the collection via Dreamlined Entertainment Group and BFD (distributed via RED). Patriots & Poets will serve as the follow-up to the duo’s previous release, Alive!, which spent 15 weeks at No. 1 on the Billboard Bluegrass Albums chart. The DVD also debuted at No. 2 across all genres. Also, the hit RFD-TV program, “The Dailey & Vincent Show” is back with season one and season two of the popular variety series, now airing on Friday nights at 7:30pm ET, throughout all of 2017. USA readers click here to find RFD-TV listings. So far, 2017 has proven to be a career-defining year for the award-winning duo, who will be formally inducted into the Grand Ole Opry in March. This will see the duo become the newest members of the prestigious show that made country music famous. 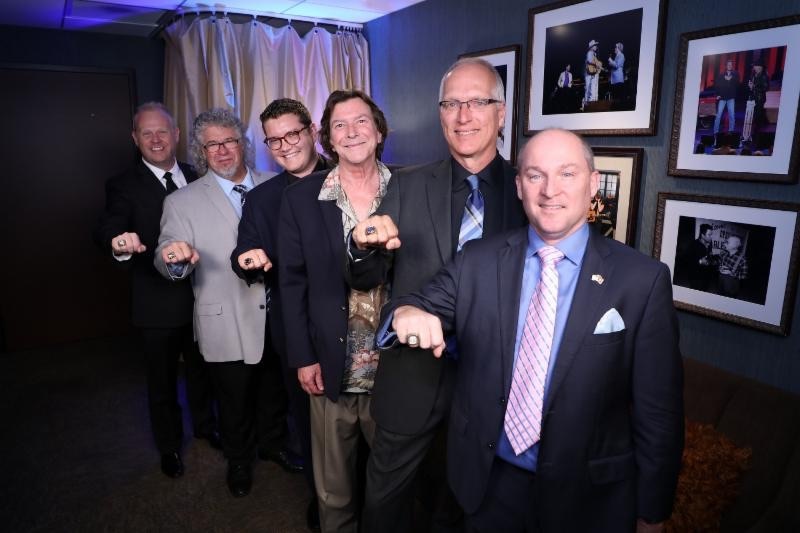 The IBMA award-winners were recently honoured by the International Bluegrass Hall of Fame and Museum with the brand new exhibit, “A Decade of Dailey & Vincent: An American Music Journey,” which features artefacts and memorabilia from their decorated career as a duo and beyond. Dailey & Vincent will take the stage on February 13 in Nashville, Tennessee for a special free show at the Country Music Hall of Fame and Museum for museum members at The CMA Theatre. Fans can also catch the hit makers appearing at venues and festivals nationwide, including their annual music festival Dailey & Vincent LandFest in the Mountains, presented by Springer Mountain Farms. The concoction of the fantastically instinctive vocal blends of Dailey’s tenor and Vincent’s reedy harmonies, has gained them well-deserved praise for their own distinctive style and worldwide recognition as American Music gold. Dailey & Vincent has garnered world-wide attention with their first national, top-rated television series, “The Dailey & Vincent Show,” on RFD TV and over 500 airings of their PBS special “Dailey & Vincent Alive – In Concert.” Their most recent CD, Dailey & Vincent Alive, debuted at No.1 on the Billboard Bluegrass charts and remained at the top position for over 15 weeks. For more information, visit DaileyandVincent.com. Dailey and Vincent to Join the Opry. Dailey & Vincent have been invited to become official members of the Grand Ole Opry. Nominated for many Grammy awards the duo are also three-time IBMA Entertainers of the Year. Dailey and Vincent returned to the Opry at the Ryman Auditorium this week to celebrate the kick-off of their 10th year as a duo, which began on the Opry at the Ryman stage in 2007. The night also marked the duo’s 100th Opry appearance. The duo will be formally inducted into the Opry on Saturday, March 11. During a special half-hour Dailey & Vincent set, the two were joined by a series of guests including Opry members Marty Stuart and Connie Smith as well as John Carter Cash and his wife Ana Cristina in addition to Dailey’s father JB Dailey and Vincent’s mother Carolyn Vincent. 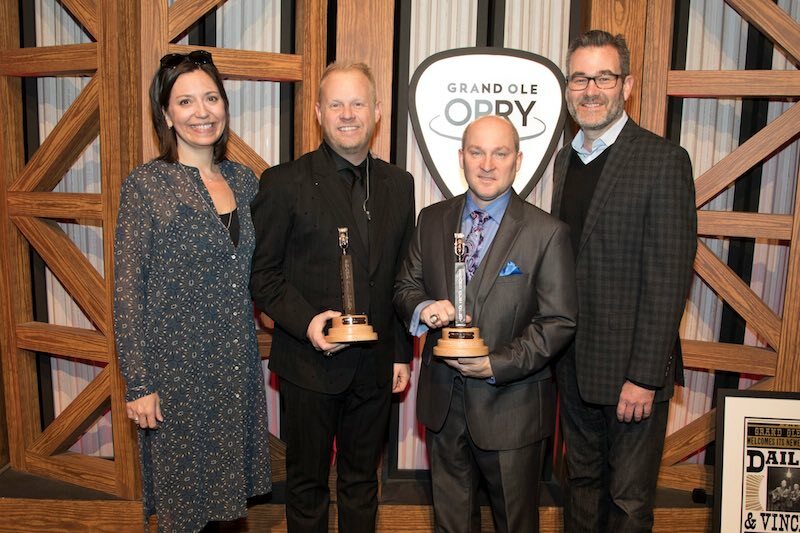 After a performance with the duo, Stuart gave Jamie Dailey and Darrin Vincent the surprise of their lives, inviting the duo to officially join the Opry. The pair was stunned, having no previous knowledge the invitation was about to be offered. Country music needs you. Country music loves you. And the Grand Ole Opry welcomes you – Marty Stuart. This is one of the most special things that has ever happened to us. We’re so thankful – Jamie Dailey. I have no words. I’m so honored. The Lord is so faithful to us – Daren Vincent. Dailey & Vincent have thoroughly entertained thousands of fans on the Opry stage over the past decade. Jamie Dailey and Darrin Vincent embody so much about what fans love about the Opry. They have a tremendous respect for tradition, and they’re also innovators committed to the future of the music they love. We’re excited to welcome them as official members of the family in March – Pete Fisher, Opry Vice President and General Manager. Crystal Gayle is set to be inducted into the Opry by her sister Loretta Lynn on Saturday, January 21. Other artists scheduled to play the Opry in early 2017 include Brandy Clark, Chris Janson, Ricky Skaggs, and Josh Turner, among many others. Five-time Grammy award winners individually, three-time Grammy award nominees collectively, four-time DOVE Award winners, and winners of 35 IBMA Awards altogether (including 3-time IBMA Entertainer of the Year Award winners and 3-Time Vocal Group of the Year Award winners), Jamie Dailey and Darrin Vincent, backed by one of the best bands on tour today, are some of the most reputable and elite entertainers in American music; bluegrass, traditional country and gospel music. The concoction of the fantastically instinctive vocal blends of Dailey’s tenor and Vincent’s reedy harmonies, has gained them well-deserved praise for their own distinctive style and worldwide recognition as American Music gold. Dailey & Vincent has garnered world-wide attention with their first national, top-rated television series, “The Dailey & Vincent Show,” on RFD TV and over 500 airings of their PBS special “Dailey & Vincent ALIVE – In Concert.” Their most recent CD, Dailey & Vincent Alive, debuted at #1 on the Billboard Bluegrass charts and remained at the top position for over 15 weeks. About the Grand Ole Opry. The Grand Ole Opry is presented by Humana. Opry performances are held every Friday and Saturday of the year, and Tuesday Night Opry shows will return February 14, 2017. To plan an Opry visit, call (800) SEE-OPRY or visit opry.com. The Opry presents the best in country music live every week from Nashville, Tenn. Marking more than nine decades of entertainment, the Opry can be heard at opry.com and wsmonline.com, Opry and WSM mobile apps, SiriusXM Satellite Radio, and its flagship home, 650 AM-WSM. The Grand Ole Opry is owned by Ryman Hospitality Properties (NYSE: RHP). For more information, visit opry.com. During their third consecutive sold-out show last night for Bluegrass Nights at the Ryman, Dailey & Vincent, proudly announced their first national, year-long TV series, The Dailey & Vincent Show. Presented by Springer Mountain Farms, the series is filmed in front of a live audience at the historical Franklin Theatre in Franklin, Tenn. and is scheduled for a Fall 2015 debut on RFD-TV. Words can’t describe the joy and humbleness I feel as our TV show comes to life! We’ve been conceptualizing this show for years and it brings happy tears to my eyes now that our dreams have come true. This is truly a story of reaching beyond your imagination and deep within your soul to create the best music and television program that we can. I sure hope you enjoy watching The Dailey & Vincent Show as much as we’ve enjoyed making it – Darrin Vincent. The Dailey & Vincent Show is slated to premiere on Saturday, September 5, 2015 at 9:30pm EST / 8:30pm CST on RFD-TV for a 26-episode run through the end of August 2016. This weekly 30-minute music, entertainment, and lifestyle show − chock-full of music, humor and fun − will include live performances by Dailey & Vincent and special guest artists, as well as cooking and interview segments. Each episode, produced and directed by Travis Television and executive produced by Zac Koffler of APEX Entertainment Management, will welcome some of Dailey & Vincent’s good friends and influences, such as Vince Gill, Dan Tyminski, The Oak Ridge Boys and Jimmy Fortune of the Statler Brothers among other famed Country, Bluegrass and inspirational acts. Episodes will air Saturday evenings on RFD-TV at 9:30pm EST / 8:30pm CST. As a teenager I used to lie in the floor and watch my favorite TV shows, Nashville Now and the Statler Brothers Show and dream about what it would feel like to have my own TV Show someday. Now, thanks to our friends at Springer Mountain Farms Chicken and the hard work from our manager Zac Koffler, that dream has come true and I couldn’t be more excited or thankful – Jamie Dailey. The duo’s first ever live album, “Dailey & Vincent – Alive! In Concert,” made a triumphant return to #1 on the Billboard Bluegrass Chart for a total of eight out of nine weeks at the top of the chart. Also with great success, the live DVD remains in the top 30 on the Billboard Music Video Sales Chart across all genres after debuting at #2 following the Foo Fighters. Anyone interested in attending a live taping of the Dailey & Vincent show at the Franklin Theatre, should submit the following information to Emily@apexentertainmentmgmt.com. Additional live taping dates to be announced on a rolling basis. 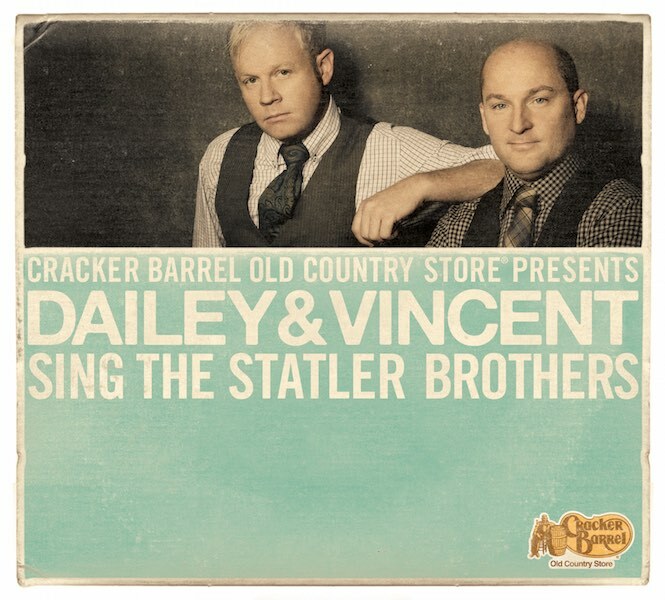 Five years after it was released as a Cracker Barrel Old Country Store exclusive, Dailey & Vincent Sing the Statler Brothers is finally available to the general public. The album, which was originally released in 2010, was awarded Album of the Year by the International Bluegrass Music Association and the Society for the Preservation of Bluegrass Music of America. Dailey & Vincent, comprised of Jamie Dailey and Darrin Vincent, are three-time International Bluegrass Music Association (IBMA) Entertainers of the Year and Vocal Group of the Year. They were also the first act in the history of the IBMA Awards to win both Entertainer of the Year and Emerging Artist of the Year in the same year (2008). The feat was all the more impressive because they had released their debut album just a few months earlier. Produced in collaboration with Rounder Records, Dailey & Vincent Sing the Statler Brothers features 12 of the legendary Statler Brothers’ most-loved songs, rendered in exciting and authentic bluegrass interpretations. Their version of “Elizabeth” garnered their first Grammy nomination, for Best Country Performance By a Duo or Group With Vocals. Darrin and I have always been huge Statler Brothers fans. Harold, Don, Phil, Jimmy, and the late Lew Dewitt were my childhood heroes. Over the past few years we were blessed to have shared a little history with this great quartet. We sang “Do You Know You Are My Sunshine” as part of the ceremony inducting the Statlers into the Country Music Hall of Fame. What an honor that was for us. Since then we have gotten to know the Statlers, and we are honoured to sing a bluegrass tribute to them – Jamie Dailey. The “Rockstars of Bluegrass” Dailey & Vincent have announce the sell out of their inaugural Dailey & Vincent Water Fest cruise, setting sail this Valentine’s week, February 14-19. Departing from Fort Lauderdale, Fl., the five-night cruise on Royal Caribbean’s “Liberty of the Seas” ship includes day stops in Belize City, Belize and Cozumel, Mexico and features nightly performances hosted by the award-winning duo, along with other famed acts Don Rigsby and the Country music duo Wilson Fairchild. The fun-filled memorable excursion will offer musical entertainment for all ages with nightly themes, including a romantic Valentine’s Day celebration with love songs, a patriotic President’s Day performance with “Songs of America,” an inspiring Gospel music night, a musical tribute to the Statler Brothers and a “Bluegrass Karaoke” night of down-home fun, allowing guests to share their own musical talents. Partnering with Springer Mountain Farms, Dailey & Vincent launched their Water Fest Sweepstakes in August, offering two fans passage on the debut cruise, which received over 220,000 entries. Due to such high demand of the inaugural cruise, plans are already underway for a 2016 Dailey & Vincent Water Fest cruise (February 14-20, 2016), with further details to be released this coming February. With multiple nominations and awards already under their belt, the Bluegrass stars Dailey & Vincent, have been nominated again this year for four IBMA Awards and a GMA Dove Award. The International Bluegrass Music Association (IBMA) announced yesterday the top five nominees for each category. 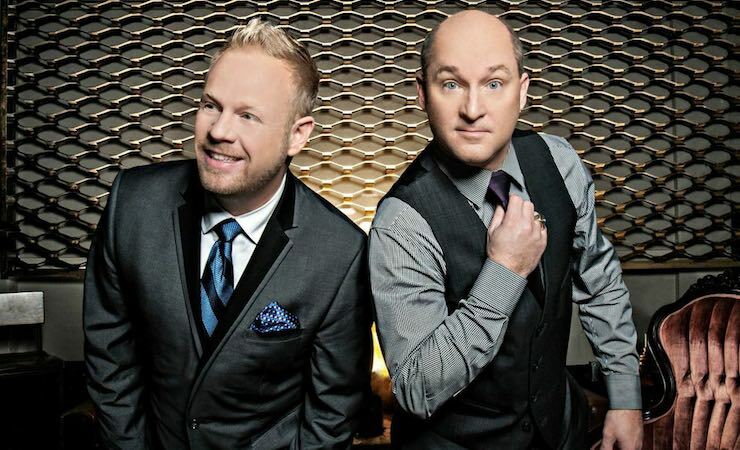 The multi-Grammy nominated duo, Dailey & Vincent, were nominated for Entertainer of the Year, Vocal Group of the Year, Gospel Recorded Performance of the Year (“Won’t it be Wonderful There”) and Bass Player of the Year (Darrin Vincent). They are also nominated for the GMA Dove Awards for Bluegrass Song of the Year (“Won’t it be Wonderful There”). It’s humbling and an honor to be nominated. It’s exciting, and I love and respect Bluegrass. We are very thankful for all who work hard writing, promoting and performing our music – Darrin Vincent. IBMA voting is open to members from now through 5 p.m. CST on September 15. The GMA Dove Awards voting will be open from August 26 – September 9. The duo has previously won 13 IBMA Awards, including: three-time Entertainer of the Year, three-time Vocal Group of the Year and Album of the Year,” and have won three Dove Awards for Bluegrass Album of the Year. We are very thankful to receive four International Bluegrass nominations and are pleased to also announce our nomination for a Dove Award today. “As we head into our eighth year, I have to say I’m a bit surprised to get any Bluegrass nominations. Thank you Lord! To the best band of guys that anyone could wish for, y’all are a dream come true. We also want to say a big thank you to all of you who support us, love us and continue to be so loyal as our music evolves. Please go and support the IBMA Awards in North Carolina – Jamie Dailey. 2014 is shaping up to be a record year for Dailey & Vincent: They entered 2014 with a Grammy nomination for Bluegrass Album of the Year (their third Grammy nomination); performed for the first time at iconic Carnegie Hall and the Library of Congress – Coolidge Auditorium during their “Musical Landmarks of America” tour, which included a second consecutive sellout performance at the historic Ryman Auditorium, where they first debuted their music as a duo in 2007; added their second Dailey & Vincent Festival in Denton, NC for September and announced their very first headlining cruise to set sail in early 2015. Also coming this fall is the duo’s first ever LIVE CD, DVD, and a Public Television Concert taping on September 13 and 14 at the Hylton Performing Arts Center on the Prince William Campus of George Mason University in Manassas, Virginia.